Nearly 600,000 Rohingya Muslims have fled persecution in Myanmar and crossed via land or sea into Bangladesh during the most recent exodus, joining the 300,000 Rohingya people already living in Bangladeshi refugee camps. The bottom line: Bangladesh is unable to handle the volume of refugees, and the living conditions at camps are worsening. But the humanitarian response to the crisis has been slow, and the flow of refugees into Bangladesh shows no signs of stopping. 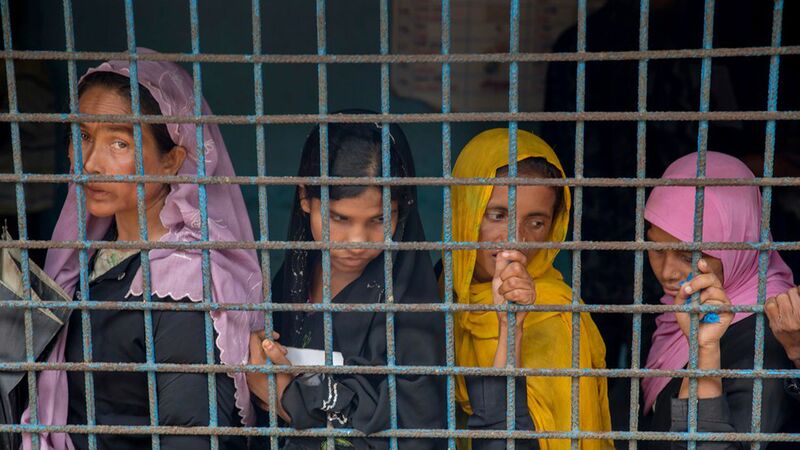 Over the past 7 weeks, 600,000 Rohingya muslims have crossed into Bangladesh and "thousands still enter on a daily basis," Shameem Ahsan, the country's UN envoy, said at a Geneva conference. During the journey, many refugees — primarily children — die from exhaustion or drowning when poorly built rafts capsize in the Bay of Bengal. The refugees live on a 100 kilometer strip of land in the most underdeveloped part of Bangladesh, near the coast, the Economist reports. The UN has pledged $340 million in aid for the refugees and called Myanmar's actions "a textbook example of ethnic cleansing." About 60% of the nearly 1 million Rohingya refugees living in Bangladeshi camps are children under the age of 17, CBS reports. This is the third exodus of the Rohingya from Myanmar. They previously fled persecution in 1978 and 1991, per the Economist. The refugees are stateless, with Myanmar refusing to accept them and Bangladesh referring to them as "undocumented Myanmar nationals," according to the Economist.